Wondering what to do with the wonderful compilation of kids’ art? Caregivers should learn that they don’t have to save every single project made by a child. Here are a few great ideas to keep the memories but save some space. • Post artwork temporarily to give the family a chance to admire it. To create a fancy refrigerator display, purchase a few 8x10 and 5x7 cardboard mattes. Glue plastic sleeves behind them to hold kids’ pictures, and attach magnets so they stick to the fridge. You can easily remove and rotate art as new creations arrive. Or dedicate a couple standard wall frames to hold kids’ artwork, and change out old art as new masterpieces arrive. • As items are rotated out, store them in a drawer or even an unused pizza box. At year’s end, help kids select their top ten favorites to save. Then, take photos or videotape of three-dimensional art and toss the rest. • As new artwork enters your home, ask yourself: “Is this different than other works we’ve already saved?” “Does it give me a glimpse into my child’s uniqueness?” “Does it make me laugh or cry?” Keep only those that really make an impact. Let the rest go so you can appreciate the best. Organizing a closet is one of the most satisfying clean-up projects you can tackle. But without a little planning, its sheer enormity can leave you with more chaos than before you started. Try these tips to clear the clutter, leaving you with only the things you really use. • Items that you are removing can go in one of four boxes: a trash box (for stuff headed straight to the dump), a repairs box (for items that need repairing), a recycling box (for things that can be recycled, sold or given away), and a transit box (for things that belong in another area of the home). If you have trouble parting with some items, put them in a box, label the box with a date six months from now, and store it out of sight. If you haven't gone into the box by the time the date rolls around, toss or donate it without opening it. • The hard part is now complete! Now comes the fun of rearranging, organizing, and storing the remaining items. Our own Julie Bertram contributed recently to an article in the Home and Design section of The Charlotte Observer. 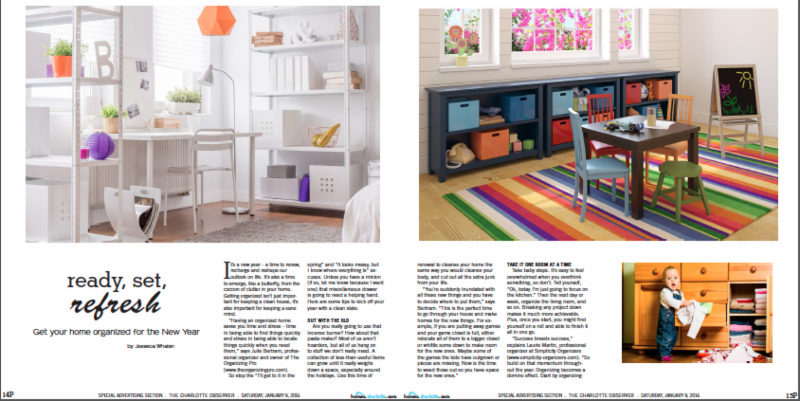 Check out page 15 to read the article and get some great tips on how to get your home organized this year! Click here to read the article in an online flipbook or click here to read in a PDF. Dreaming about Elfa Shelving Systems? 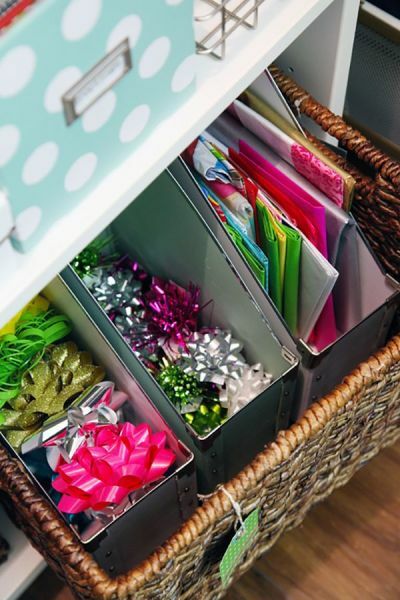 Get organized for the holidays and SAVE! Don't miss this INCREDIBLE DEAL! If you have been dreaming about the Elfa shelving/closet system, now is your chance to take advantage of HUGE savings and be organized for the holidays! The Organizing Pros have recently been named official partners of The Container Store's The Contained Home Program. Through this affiliation, we have an exclusive offer for our friends and family - 40% off Elfa Systems and 30% off installation, but only until Sunday, November 22, 2015. How can you take advantage? 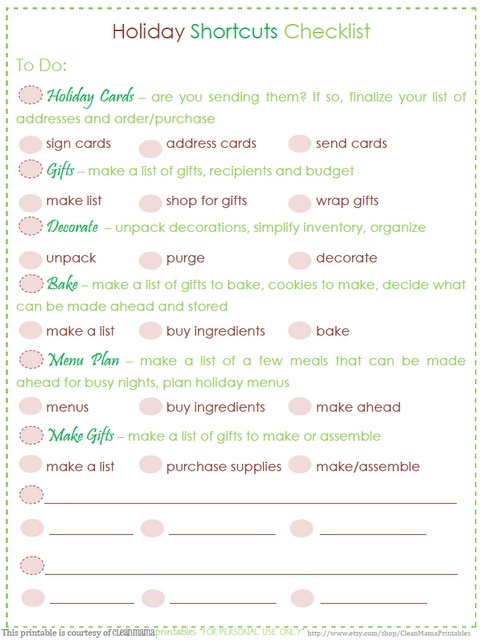 Just email julie@theorganizingpro.com or call 704-517-7350 to get your unique coupon code. Evaluate and pare down: Gather all your cookbooks in one spot. You'll recognize your favorites, so set those aside. Then, consider donating any books unfamiliar or unused for the past year. Organize clippings: It's tempting to clip every great recipe you see in magazines. If you do, create a "holding" envelope where recipes must past your taste test before being added to your recipe binder. 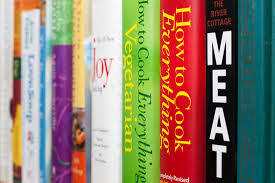 Remember the "in/out" rule: Each time you add a recipe to your book, remove an old one (or two) that is no longer a favorite. We are happy to share a blog post written by our friend, Julie Hall, in this month's blog! I have a theory that people subconsciously believe their stuff will anchor them to this world. They fill their homes with "treasures" as a sign of success; they "made it" in this life, in contrast to their parents who didn't have much during the Depression. They amass things out of fear, fear they will have to go without. They may hold on to stuff out of guilt. Finally, they may feel they are doing their children a favor by leaving them so many "valuable" things. At some point, all this stuff becomes a proverbial monkey on someone's back. Someone will pull their hair out and cling to sanity trying to understand the estate settlement process. I find it so interesting that people spend a lifetime collecting stuff, buying stuff, inheriting stuff, fighting over it, displaying it, talking about it ... but they rarely make a plan for it. Collections are one example. Everybody collects something. It's exciting when you find a special piece you've been seeking for years. When the word gets out that you collect cats, suddenly everyone buys you cats. Metal, porcelain, glass, pottery ... it doesn't matter. You get tons of cats whether you want them or not. Next thing you know, you have 200 cats! Let us not forget that we inherit items along the way, tripling (or more) what we already have. Soon, our homes are bursting at the seams, our spouses are griping because of all the clutter, and our children let us know in no uncertain terms that they want nothing other than a ride to IKEA and cash, so they can buy what they want. Every day, I am in multiple estates and I see all of our accumulations. Some houses are neat and tidy, but the closets are bursting at the seams! Things are strategically hidden! Other homes are eclectic and interesting from world travels. Still others are hoarders, thinking every possession is valuable, and they will not listen to the reasoning of a professional such as myself. I can say with 100% certainty that we're facing a major problem in this country as our seniors and boomers age and pass away. Plain and simple, we just have too much stuff! More is finding its' way to the market every day as our elders die, and the boomers are getting the message to simplify their lives and let go of things that bog them down. Look for professionals who are trained, credentialed, belong to professional organizations, and have solid experience. Start whittling down the years of stuff you no longer use or need. Open up your space and let light in the house. All my clients who have taken the downsizing plunge are thrilled they did it, and are now free to enjoy their lives. As we make our way through our parents' belongings, we also have our stuff to contend with at the same time. It's important to think ahead and have some kind of plan in place, whether giving/gifting in advance, or selling everything and buying only what you really need. You will love the feeling of lightness. Learn to let go. Keep the next generation in mind as you are doing so. It's one of the best gifts you can give your family. 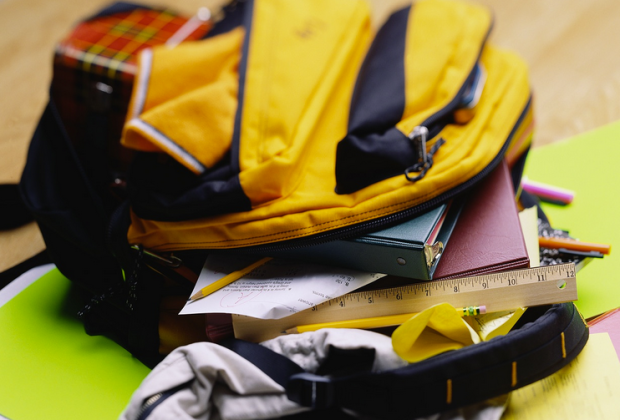 Teach your kids big concepts with small, task-oriented goals – like cleaning out their closets and backpacks over the summer. Add an incentive for a job well done to reinforce the behavior, and they will be well on their way to making the school year a successful one. Task 1: Unpack the backpack - or the ‘pile’ from last year. Help them choose (or make) a keepsake box from Hobby Lobby, Michael’s or another craft store. Have your child sort items into SAVE, REUSE/DONATE and TRASH/RECYCLE piles. Store the SAVE pile in the keepsake box, dispose of items in the TRASH/RECYCLE pile accordingly and help your child decide whether or not to keep items in the REUSE/DONATE pile next year or if items should be passed on to younger siblings or school supply organizations. This includes the backpack. Make a list of replacement items for this year and do some early school shopping. Reward good behavior with a prize, activity or outing! Task 2: Clean the closet. Now that your child knows the basics of cleaning, sorting and organizing, have them take on a bigger task. Create areas to KEEP, DONATE or TRASH. Explain that in this exercise, that “trash” differs from the backpack exercise in that these are articles of clothing or accessories that are in such poor condition they cannot be reused. Try on and sort old clothes, shoes and accessories. Hang/Organize items in the KEEP pile. Take the DONATE pile to friends/family, a shelter or other organization. Dispose of clothing in the TRASH pile. Make a list of replacement items and go shopping. Reinforce good decision-making with a reward. Moving your Freshman (or returning student) into their dorm or apartment won’t be as overwhelming when you work with smart storage solutions. Before the move, create storage boxes/bins for food, shoes, laundry essentials, school supplies and living (personal care items). If you’re not sure what to buy, Bed Bath and Beyond offers great tips and sells great storage bins. The Container Store has a big Summer Sale going on now. Once your child settles into their new space, reassess their storage needs. Are they able to keep some of the bins for use under the bed or stacking? If not, bring them home with you and use them to pack up at the end of the school year. That way, everything will they need is already boxed and ready for summer storage and fall moving. If hanging space is non-existent, use 3M hooks to turn a bare wall into a custom storage system for backpacks, bathrobes, gym bags and more. Finally, an over-the-door towel rack makes it easy to keep wet towels off the floor. A word of warning – always defer to your school’s guidelines for what is and isn’t permissible in the dorm. Not adhering to school rules could result in a fine or penalty. Have kids, will travel! This summer, slash stress when you hit the road with our easy packing tips for kids. 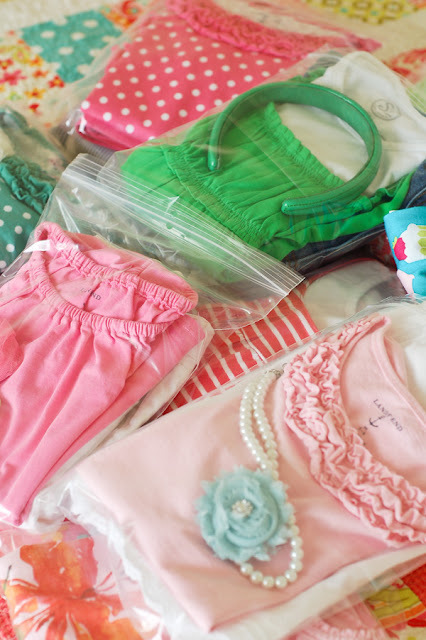 1) Lay out each day’s outfit – including underwear – and use gallon size Ziploc bags to corral each outfit. Press out excess air and seal it at the top. Stack each tidy bag inside your child’s suitcase to save space and simplify outfit selection. 2) Borrow a tip from business travelers and roll your child’s clothes. This decreases wrinkles and increases suitcase space, because everything can be packed tightly with no wasted air pockets. 3) Print your favorite packing list from Pinterest and check items off as they go into the suitcase. Pack the list in your child’s suitcase so they can re-check the items they arrived with as they put them back in the suitcase. 4) Stow phone/tablet/laptop charger(s) in suitcase pockets. 5) Stash an extra set of earbuds in the same pocket, because cousins . . . and swimming pools . . . and dogs. Extra Credit: Plan surprise packages that your kids can open when you reach different cities or milestones along your route. This keeps everyone engaged and entertained . . . for a couple of minutes, anyway. The final step is to make sure all "like" items are sorted together and ready for the packing process. This will make it so much easier on the other end. As an organizer I hear this question frequently, "Since you are an organizer, your house must look so perfect?!" A typical response is, "Well, everything has a home, and systems are in place, but I have three children and everything isn't "perfect" all the time. Life is constantly "happening" and there are breakdowns along the way. Perfection is flawless and life isn't. Although I love Pinterest, and other idea gathering sites I feel like people lose a small piece of reality when looking at the perfectly organized closet or pantry. Never showing the "after" picture once the kids get home from school and grab a few snacks. Or the "after" picture once a week of laundry needs to get put away after 6 loads have been done for 5 people. Organization is a constant process, manageable once the right systems are put in place. Organization is being orderly or efficient. Don't compare yourself to friends or Pinterest. It is always good to get ideas this way but make sure you make manageable goals to suit you needs and the needs of your family. What works for you might not work for your friends. Customize your organizational systems around your lifestyle and needs and you will feel empowered, calm, and like a weight has been lifted. In the end if you still feel like you need help with this process...out source! We all have some level of procrastination in us. Some people may only procrastinate on one little thing once in awhile. Others procrastinate every day on almost everything. However, most of us fall somewhere in between. The only way you can get procrastination under control is to first examine what you are avoiding and why. I know I procrastinate on the things I don't enjoy doing. For me it's ironing and writing (I started this blog over a week ago while serving on jury duty. I'm just now finishing it up!) What about you? What are you avoiding doing? Next, what pops into your mind when you think about that project you've been putting off for a long time? It will take too long? You don't know where to start? The answers will give you a glimpse into some of the things standing in your way. What kind of a procrastinator are you? I love this visual of the different types. Did any of these images ring a bell for you? If you can identilfy the kind of procrastinator you are it will help you realize your stumbling blocks and how you can move past them. For instance, if you are a "Cleaner" then be aware the next time you tackle a project and begin to get the urge to clean first instead of tackling the actual project. Change the action this time. When you get the desire push past it and dive into the project and don't avoid it. Youcan always clean once you finish as a reward to yourself. Being aware of what kind of procrastinator you are and why you procrastinate is the first step in overcoming the tendency. The next part is making small changes in your response to these so you can get past it and on to doing the work. If you still struggle, contact a life coach and they can help you define your stumbling blocks and formulate a plan to achieve your goals.